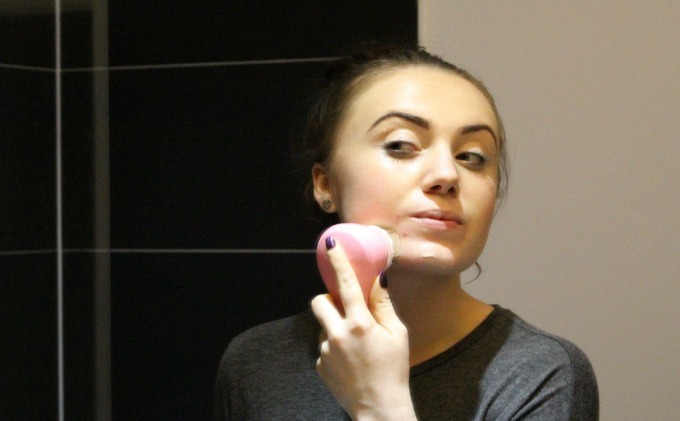 Some of you may have seen my review back in April on the Magnitone Lucid Electronic Face Brush, I absolutely loved that brush and to this day still use it every morning and night as part of my skin care routine. Nowadays though there’s a new kid on the street and the Magnitone Barefaced* is now out for purchase. I was kindly sent this to review recently and I have to say even though the two brushes are pretty similar, I definitely do prefer the new barefaced option. 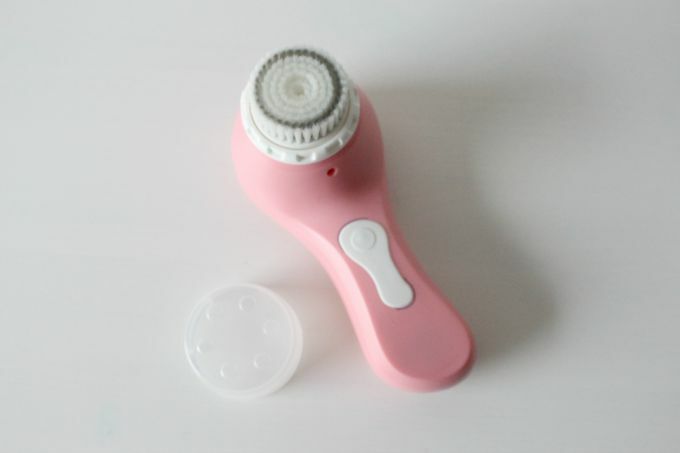 The new brush has Vibra-Sonic technology which gets deep into the skin to remove all of the impurities so that your skin can stay squeaky-clean. 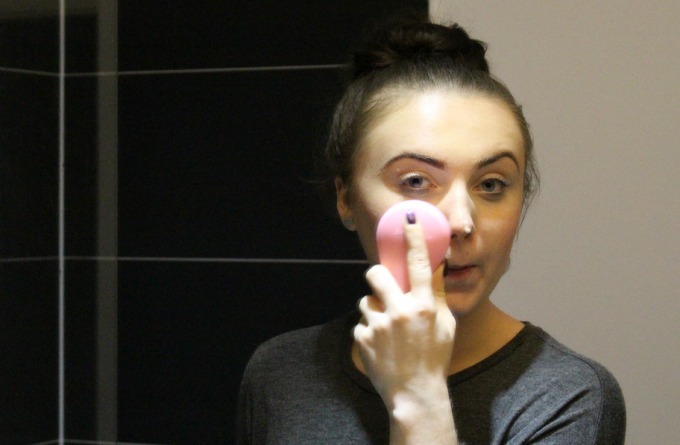 This means more flow and less of those pesky spots! The Vibra-Sonic feature has a combo of sonic oscillations & electromagnetic vibrations which honestly doesn’t make a lot of sense to me, but it definitely feels like the brush is doing some good when using it! I really like how the second setting on this brush is slightly different from that of the Lucid. I find that it doesn’t spray as much cleanser and water everywhere as I brush my face and it also has a different vibration pattern which for me feels like it’s doing a little more digging than my Lucid. I’m a massive fan of Magnitone and absolutely love how easy they are to transport around with you. Whilst writing this post I’m currently at Jordan’s Mum’s house for the weekend and it’s so nice to still be able to bring my Barefaced with me. They’re so small and so so so easy to travel with, especially since the battery life is around 2 weeks of uses so as long as you know it was recently charged up, you don’t even need to take the charger with you. The one thing I will say about this Barefaced that I’m not too keen on is that the charging cable is only USB. Now this is perfect for on the go if you’ve got your laptop with you or an iPhone Power adapter floating around in the bottom of your bag like I usually do, but for those of you that don’t have a laptop that you take on holiday with you or don’t have umpteen power adapters strewn around your flat, the one thing this is missing is a power adapter. To be honest I think it says a lot that the only bad thing I can say about this brush is that it doesn’t come with a power adapter, but for some people that could be a big difference between buying the Barefaced or the Lucid. Have you ever tried any Magnitone products? I honestly can’t get enough of them and love how amazing it makes my skin feel. I barely ever get many blemishes now and my skin really does glow.